Find out what happens to the girl who eats too many bananas… It sounds like the tagline to a cheesy B-movie. But with the incredible worldwide popularity of bananas – they are grown in 107 countries and represent the fourth most valuable crop globally – it’s smart to take a deeper look at their nutritional make-up. Potassium is a critical nutrient that is found in every cell of the body, used to generate the electrical charge that keeps cells functioning correctly. It also helps to keep your heart rate steady, triggers release of insulin to control blood sugar, and supports an optimal blood pressure. Healthy adults are encouraged to consume between 3,500-4,700mg of potassium per day, depending on lifestyle and other factors. An average banana contains about 450mg of this vital nutrient. Bananas in particular are a good source of vitamin C, which helps to strike down the formation of cancer-causing free radicals. Their high fiber content is also thought to reduce the risk of colorectal cancer. One study has indicated that people who take in at least 4,069mg of potassium per day have a staggering 49 percent lower risk of death from ischemic heart disease than those who consume less than 1,000mg. Bananas boost heart health in other ways, too: the fiber, vitamin C, and B6 in bananas are all critical to a strong heart. 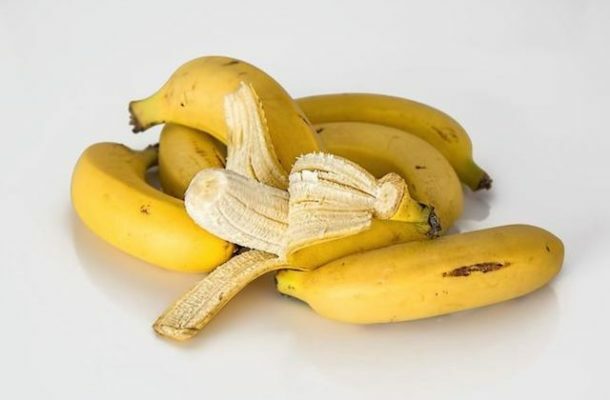 Not only are bananas relatively bland and easy to digest, they replace vital electrolytes like potassium that are lost in large quantities during bouts of diarrhea. The fiber content of bananas also helps to promote regularity. People who are taking beta blockers for heart disease should eat bananas in moderation because beta blockers cause potassium levels to increase. Too much potassium is also dangerous for people whose kidneys are not functioning optimally. Potassium is a vital component of any healthy diet and bananas are a great source of it. Studies have shown that a high potassium intake offers up to a 20 percent lower risk of dying from all causes!